We found this course to be quite beneficial. More than once we found ourselves saying "yeah we did that" when the program talked about examples. Thank you. The course was written in an easy to understand format which I actually enjoyed. I learned a lot and was able to get all my post-course test answers correct. I would highly recommend this course to anyone but would be very helpful to high school and college students, newlyweds and well, really anybody - I am 72 years old and thought I had my financial life under control but life threw me a curve ball. Thanks. Very useful course. Reinforced areas that I knew but ignored. Course was well organized and provided a good learning experience. The course was very interesting and informative. There were a lot of topics I was familiar briefly with, however after taking the brief class, it has opened my eyes to the many ways I can achieve the things I not only need but want. After the class I learned that I should put myself on the payroll as well and start saving in even with the smallest amount. Thanks for the bringing knowledge which will allow me to be better prepared in financial situations. This course would have been better if taken prior to actually filing for bankruptcy. We were so very happy for this course and we believe it will help us in our walks of life. Thanks a million. I was so pleased with this course and it was very, very helpful. and I wish people could have had this course even they were not filing for bankruptcy. Thanks this was very helpful. Wish I would have used this tool before I got into BANKRUPTCY!!!!!!! I'm so happy you had the read out load option and offered this class online. Thank you so much. Also I like the fact that I can go back and review any chapter online for free. 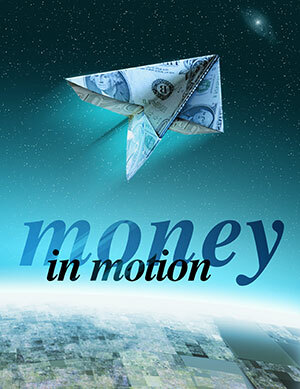 My wife and I would like to say thank you to Money in Motion and we will definitely keep up to date with you as our favorite website. Thank you so very much. You will be recommended to everyone we know. This course was great!! Now I have some very handy tools. I started this course as just a way to finalize a bankruptcy but ended up learning things I wish I had known or thought of years ago. I thought budgeting was crunching down not being able to spend a penny but this has taught me differently. This course was just amazing ... I should know about this many years ago to don't go desperate using my credit cards to paid my bills. This was a great lesson. Thanks. THIS COURSE WAS VERY VALUABLE. WE WOULD HIGHLY RECOMMEND THIS COURSE TO BE OFFERED TO ALL HIGH STUDENTS! This was a good course and wished it was available to me before I got into debt and needed to file for bankruptcy. At first we were unsure if this course would be helpful. After taking this course, we found it very helpful. Thank you. The course was mandatory but I found it very interesting. This is a really good course I recommend this course to people in general. Thank you for provided us with this course as a tool for us to better manage our finance as we move forward. This course was excellent easy to follow along and learn from! I like the way it explain everything it made it really easy for me. We have found this course to be extremely informational and very helpful Thank you for this information. I REALLY ENJOYED THIS COURSE I LEARNED A LOT FROM THIS PROGRAM AN I WILL RECOMEND THIS COURSE TO PEOPLE WHO ARE HAVING FINANCIAL PROBLEMS. This was very essential and it gave me a lot of information in regards to saving and doing things that will help build my credit to hopefully become a home owner one day. I want to said Thank you for everything ... I know I got a long way to go ... to improve my financial knowledge for better manage all financial matters ... God Bless You. Thanks again. Thank You for allowing me to do this course online with your company and teaching me things I'm sure I knew but just never used in my day to day living. I have learned a lot via this course I feel I will use on my financial freedom. Hello, I am really impressed with on-line course!!! Very impressive!!! Thanks again for helping my wife and I to understand more budgeting and etc. So THANKS AGAIN!!!!!!!!!!!!!!!!!!!!!! The course was good to help me understand what I done wrong with my money. Overall information was very helpful and prompted me to check out suggested resources. I like the idea of using savings and other accounts to compound the amount of money you can save. Also, because bankruptcy was my personal reason for this course, I would have liked to see more information for rebuilding credit. Thank you. Most information in this course didn't apply to my situation but all information was helpful and informative. Thank you. I really enjoyed going through this course I truly learned a great deal. Thank you.